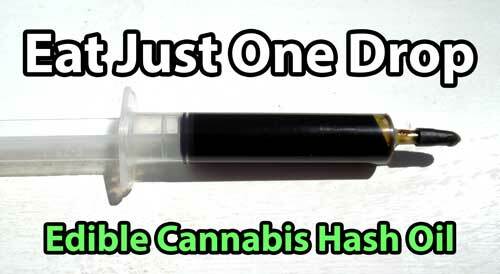 What makes this an “edible” cannabis hash oil? If you’re looking for hash to smoke or vape and you’re NOT specifically interested in RSOs relieving benefits, you should try our dry-ice hash technique. You will likely need to experiment to find the medical strain of cannabis that works best for you. Many medical cannabis treatments call for either high-THC hash oil, high-CBD hash oil, or a mixture of both types of oil. If you are not sure, I recommend you start by choosing a medical strain of cannabis that you know you like or which sounds suitable to you. There’s lots of great information about different strains online. Rick Simpson Oil (RSO – sometimes called Phoneix Tears) is a type of edible cannabis hash oil, and is typically created from high-THC medical cannabis strains. High-THC strains may provide many medical benefits. For example, a synthetic form of THC known as Marinol is a prescription drug that treats or prevents nausea and vomiting caused by cancer medicines, and is also used to increase the appetite of people with acquired immunodeficiency syndrome (AIDS). THC does have psychoactive effects. Caution is recommended when using high-THC strains if you are not familiar with the effects. 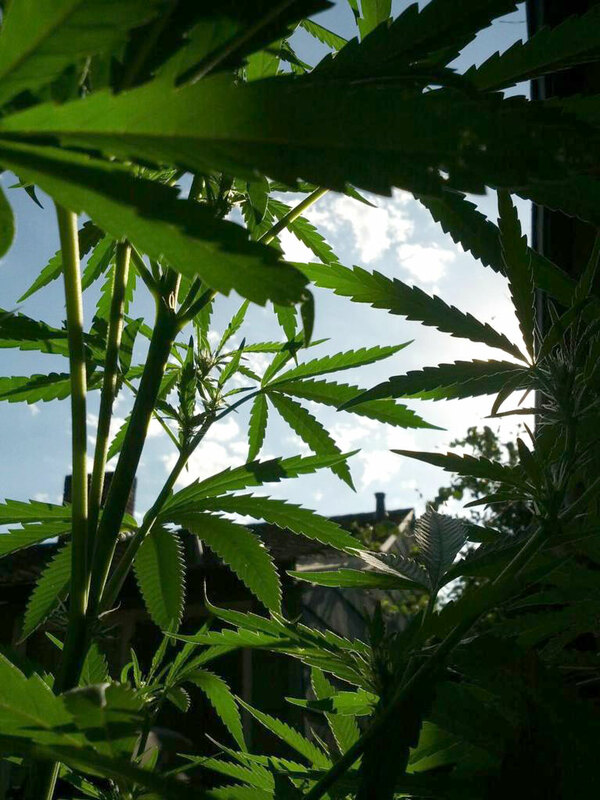 THC taken without any CBD is much more likely to produce very strong psychoactive effects. Many medical patients start by choosing a high-CBD strain of cannabis, since CBD seems to have some of the most widely accepted medical benefits. CBD by itself does not have psychoactive effects and does not alter your perception. Please note that any medical cannabis strain, even high-CBD strains, will contain significant amounts of THC, though high-CBD strains are not as likely to alter your perception as high-THC strains. As of right now, there’s only one way I know of to get just CBD without THC, and it involved extracting CBD from hemp (the legal cousin of cannabis). There is no evidence (yet) that shows that eating CBD from hemp is as effective as eating the extract from a high-CBD medical cannabis strain. Many patients choose a mix of THC and CBD treatments, and this may be the best option for some patients. For example, Sativex is a prescription mouth spray whose chemical compound is derived from natural extracts of the cannabis plant. Sativex contains just two cannabinoids extracted from the cannabis plant: THC (delta-9-tetrahydrocannabinol) and CBD (cannabidiol). It does not contain the full mixture of cannabinoids found in medical cannabis strains. This mouth spray is used for the treatment of neuropathic pain and spasticity in patients with Multiple Sclerosis (MS), and is also used for moderate to severe pain relief in adult patients with advanced cancer. A big benefit for patients who use a mix of high-CBD and high-THC strains is this combo seems to provide the biggest benefits of medical cannabis with the least amount of psychoactive effects. Additionally, there are dozens of other cannabinoids in the cannabis plant which are not as well studied, and some people believe these all work together to provide the most relief. Your final choice will really depend a lot on your condition and your body – you will likely have to experiment with a few different strains to figure out what works for you. High-CBD strains – generally you’ll get the most consistent high-CBD results with clones, though high-CBD strains from seed have come a long way over the last few years as the strains are stabilized. High-THC strains – most strains available today are high-THC, but here’s a short list of tried-and-tested cannabis strains that consistently produce high amounts of THC. Quality Control – You choose which strain is used to make your medicine (Indica vs Sativa, THC & CBD ratios, etc ). 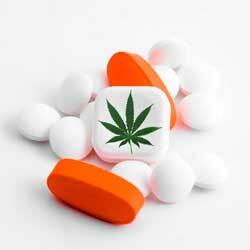 You have 100% control over the creation process, so you know exactly what goes into your medicine. Can be eaten or applied directly to the skin – Rick Simpson Oil is edible and can also be applied topically (for things like burns, localized pain and/or moles), which makes it a great way to get the benefits of cannabis without the downsides of smoking. Can Be Produced at Relatively Low Cost – Edible hash oil can be made from inexpensive cannabis sources like home-grown medical cannabis buds or “trim.” Trim is a name for the leaves and stems that are left over after harvest of cannabis buds. The cannabinoids which make cannabis buds effective as medicine are present in smaller amounts on the trim, yet many growers throw the trim away because it is not suitable for smoking. The process of creating edible hash oil (as explained on this page) is effective at concentrating these cannabinoids into usable medicine. Therefore, growers can turn their trim into edible hash oil instead of throwing all the leaves and stems away, which means these growers are getting more medicine from each harvest. If you live in an area where cannabis is legal, you may be able to find a grower who will give or cheaply sell you their trim. 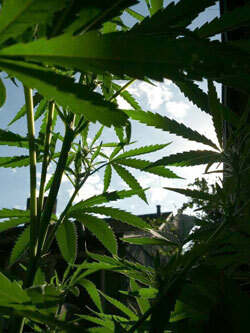 Many medical cannabis patients also choose to grow their own cannabis. A little effort can save you a lot of money. I know all the benefits, but I’m not sure if I’m ready to make edible cannabis hash oil… What’s an easier way to make a (less potent but still effective) cannabis extract or butter? NOTE: This method will teach you how to make a small batch of edible cannabis oil extract (Rick Simpson Oil, hemp oil, edible hash oil) for personal use. You will make about 2-4 grams of oil from an ounce of cannabis buds, or 1-3 grams out of an ounce of cannabis trim (leaves, stems, etc from a harvested medical cannabis plant).